DTE is excited to be the presenting sponsor for the High Five Campaign, matching each gift (up to $50,000), and turning your $5 donation into $10! 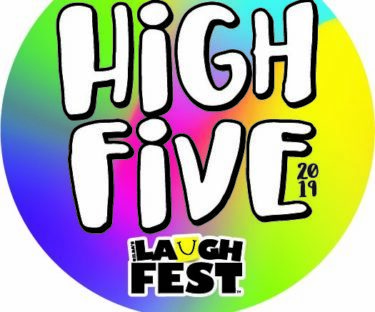 Make a donation to support the free programs offered through Gilda’s Club Grand Rapids at laughfestgr.org/high-give or by purchasing a button at LaughFest events. Your gift is tax-deductible and 100% of your gift stays in our community.